Few places can awe you just by their sight. But I have to say, last week I was moved, awed, and inspired at the opportunity to attend an event in the White House Rose Garden. I have taken the visitor’s tour of the White House before (I still have the picture book), but being a guest at a White House event is a whole different experience. Smartly dressed service men and women in uniform greeted our party as we made our way through security. As I arrived at the courtyard, a military band played to a crowd gathered that was truly as diverse as our country — young, old, black, white, brown, men and women alike. The physician I had met in line impressed me with his insight on the topic of the day: health care reform. We chatted about issues that I had not considered, and his perspectives gave new depth and clarity to some of the talking points that I had already heard. We found that we agreed on many things, disagreed on a few, and had a wonderful time sharing stories about our families and jobs, and our appreciation for a country that allows debate and invites regular people like us to visit the seat of government. I met a few other excited newcomers as we waited for the event to start. One leaned over and asked, “Did you ever dream as a kid that you would be invited to an event in the Rose Garden…at the White House?” I could only shake my head no. A kid from Portsmouth, Ohio — one of 11 kids — and today I was about to hear from the President of the United States, live and in person. What a country! President Obama began to share details about the Affordable Care Act, the opportunity that it presents for millions of Americans, and the challenges encountered by implementing a change this monumental. It was interesting to hear the details of the program — and refreshing to hear the leader of the free world acknowledge that as much as he wanted things to begin smoothly, the program was not yet perfect. As a life-long entrepreneur and as Executive Director of the National Entrepreneur Center, I have seen thousands of new initiatives launch — but I have never seen a new idea launch perfectly on Day One. With any new venture, there are always unforeseen challenges that may or may not be apparent to the public. Innovation is usually messy. However, creating anything new requires the courage to take the first step toward making something happen. I listened intently as President Obama spoke of his efforts to provide healthcare for many Americans who had been denied or unable to access healthcare prior to passage of the Affordable Care Act. I was touched by the stories of those who needed and wanted healthcare and now have access that they have never had before. (Nearly everyone I’ve spoken with in the last two years has agreed on the need to address those issues.) The President received applause for many of the points he made about affordability and access, and some more cautious applause when he spoke of the ongoing negotiations. His entire speech made me consider the possibilities of providing healthcare to everyone, and the frightening thought of what it might mean if we couldn’t make this work. Changing healthcare in America is an enormously complicated task, and it has already affected people throughout the country: some positively, and some negatively. This type of transformation was certain to produce plenty of areas for disagreement and conflict, but hasn’t that always been the case in our country? The freedom to disagree and debate has always been our strength; diversity of opinion and honest disagreement are the building blocks of our freedom — requirements to implementing a transformational change that will last. We can disagree on things without being disagreeable, and still arrive at solutions that will work. Our country struggled through transformational issues like slavery, civil rights, and gender equality but still arrived at solutions that made America a beacon of hope for the entire world. So today we struggle with healthcare reform, but I am confident that we will arrive at a solution that will serve those in need without hurting the businesses that employ them. It will require a willingness to collaborate and a measure of compromise from all parties involved, and that is the hard part…but I know we can do it. America has always found a way to move forward together. 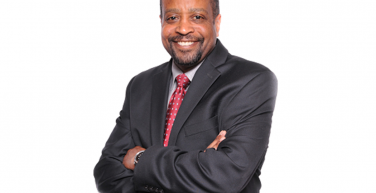 Jerry Ross is a life-long entrepreneur and Executive Director of the National Entrepreneur Center. You can follow him on Twitter at @JerryRossOnline.